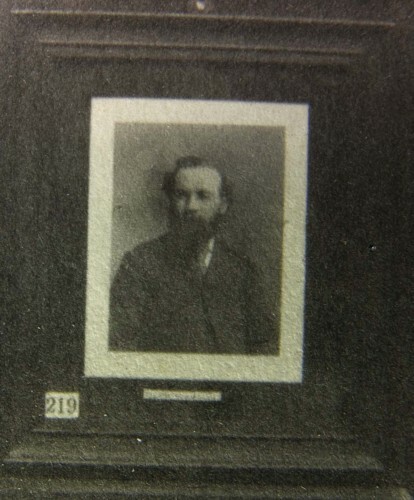 Bio Notes: John McLachlan was born c.1843 and articled to David Cousin, probably c.1858. He commenced independent practice in 1868 and by 1878 had an office at 8 York Buildings. He married Margaret Ann Morham, probably a sister of Robert Morham, also of Cousin's office. In 1884 McLachlan became architect to the National Bank of Scotland and by 1892 he had replaced Hippolyte Jean Blanc as architect to the St Cuthbert's Co-operative Association. About 1890 there was a marked change in his style from Italian Renaissance and Victorian baronial to a Queen Anne manner and a more vigorous interpretation of baronial which may mark the beginning of an association with Thomas Purves Marwick who bought the practice after McLachlan died on 13 May 1893 at the early age of 50. He left moveable estate of £2,953.